TVPlay Home delivers exciting movies, passionate sport events and incredible documentary broadcasts on the satellite TV. Bright, basing on the change of brand, has developed a design for the TVPlay Home website and provided a full-cycle website development on WordPress. On the website user can learn more about the services provided by TVPlay Home, get answers to questions related to current subscriptions and apply for services as well as contact TVPlay Home online consultants. 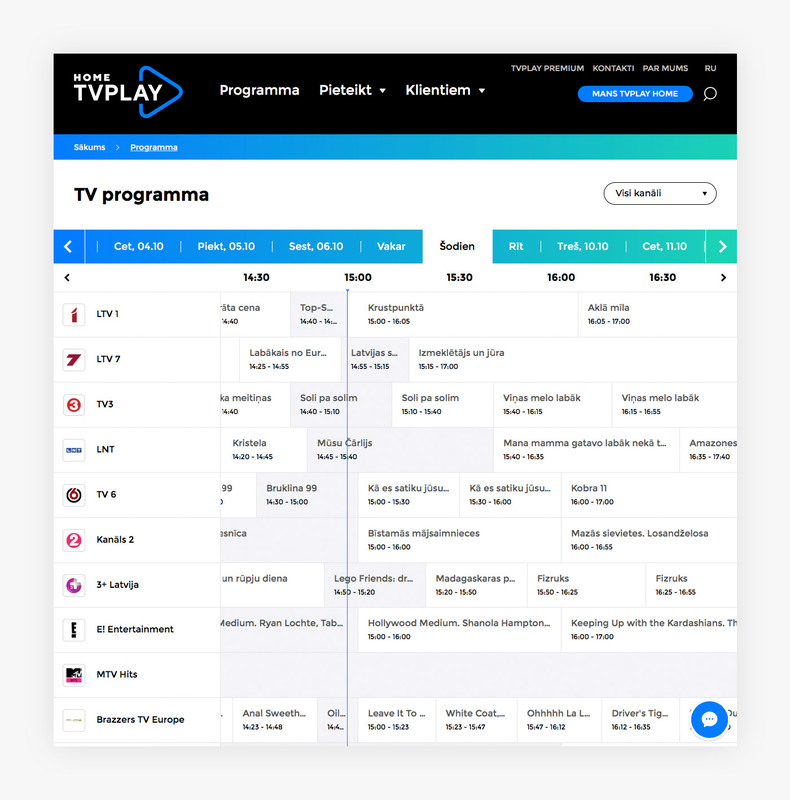 On webpage user can find a TV programme that provides rich information not only for TVPlay Home clients, but also for clients of other operators. The programme shows full broadcast list including past and planned broadcasts and gives the opportunity to learn more about each of them by reading a short description which is complemented with an image.